While many people believe that they are "locked" into using Microsoft Word for all their document creation needs, it simply isn't true. Over the past few years, there have been many Microsoft Word and Office alternatives that were released and that have gained traction. Now, there are alternatives to the costly application from Microsoft, many of which are free. Today we're going to explore ten alternatives to Microsoft Word that you can quickly and easily start using today. Some will be online and some will be downloadable applications that can be installed on your local computer, but all will enable you to wean yourself off of Microsoft Word and still be productive. This is because they can all work in conjunction with the applications you already use with MS Word. Take your everyday PDF to Word Converter tool, for instance. Working with PDF documents is difficult and you may think it even harder if you swap out an application in your usual software lineup. This simply isn't true, though. Able2Extract Professional, for instance, lets you work easily with any MS Word alternative there is. Simply convert your PDF to Word and then import or upload your converted results into any one of the Word processors in this list. You won't miss a single beat! So if you need a good list of free alternatives to MS Word, look no further. Let's get started on our tour of ten free alternatives to Microsoft Word. Sometimes it's easier to create and collaborate online in real-time than by editing and managing multiple versions on your local hard drive and sending the files via email. The web-based word processing applications below will not only let you create the documents online but also quickly and easily share them with others. Dropbox Paper is a free online word processor offered by the online cloud storage provider. To start using it, you will need a Dropbox account. Once logged in, you get full access to the online suite. The minimalist interface is very intuitive and its simplicity allows you to focus on your content. You can also do a number of things that go beyond creating a textual document. You can add rich media, such as audio, video and images. Dropbox Paper also allows you to access apps that let you embed Trello cards, Youtube videos or SlideShare decks. Other collaborative features include document link-sharing, creating and assigning checklist items to members or embedding one of your Dropbox documents. Dropbox Paper, overall, does an excellent job at creating dynamic documents you can share and access online. For Microsoft Word and Office aficionados, the best possible free online alternative for their document editing needs is definitely Word online, which comes as part of the Office Online suite. Although free MS Word web app is not a full-fledged version of its paid counterpart, it allows you to open, create and edit Word documents online. Also, it offers some additional benefits of online software tools. For example, the ability to access and see updates from co-authors to your docs literally from anywhere in real time with only an Internet connection and the latest 2016 version. You can share and collaborate on documents. An equally alluring feature of Office Online is its cross-platform compatibility. So, if you're a Chromebook or Linux OS user, MS Word web app is the most elegant way to get access to Microsoft's document editing features - for free! Google Docs allows you to create, collaborate and share documents, spreadsheets, presentations, drawings and even forms. Google Docs is packed with features, which can be further extended with various add-ons. While it will automatically save the file online and store it there, you can also have the documents published as a web page, downloaded or emailed as an attachment in Word, ODT, PDF, plain text or RTF formats. You can invite collaborators to work on the document with you or only allow others to view it without the ability to edit. And if you are apprehensive of having to depend on the Internet connection for document processing, don't worry. You can enable Google Docs offline access and keep editing your documents even when you are disconnected from Internet. All it takes is a free Google account. Etherpad is an online document editor primarily intended for collaborative editing in, as the site claims, "really real time". It's an open source, highly customizable tool for online document collaboration with friends, fellow students and classmates, or colleagues at work. One of its advantages, especially appealing to users who are reluctant to use services which require email registration, is that there is no sign up with Etherpad. All you need to do is start a new pad and share the link to it with your collaborators. You can also invite them by email if you prefer. After that, you can start working on the planned writing project together, in real-time, even if you are miles apart. Zoho offers around 20 free online applications including Writer for word processing. You can link your Zoho account to your Google and Yahoo accounts, as well. The Writer's interface shouldn't cause anyone problems as it is comfortably familiar. 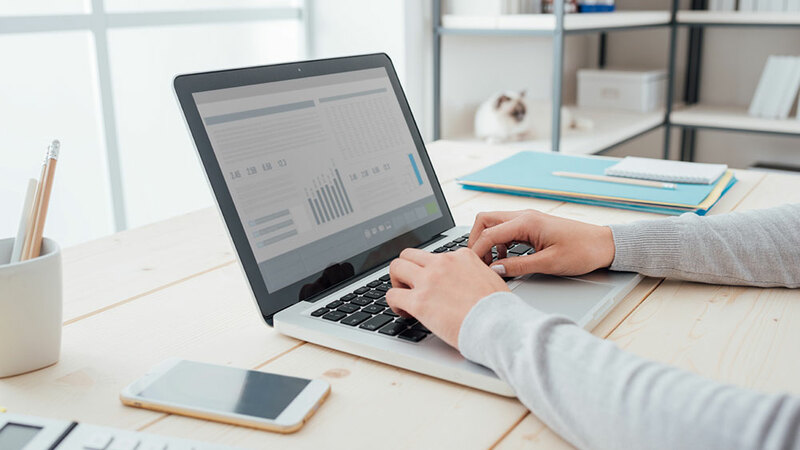 When working online there's always the risk of losing data due to a lost network connection, accidentally closing your browser or having your browser crash. Luckily Zoho automatically saves your documents for you, as you finish typing. Zoho Writer is well-equipped with features that allow you to work easily online: two-way desktop sync, large file transfer, encryption, file recovery, two-step authentication, in-app chat, and more. You can import and work with MS Word documents, allowing you to insert images, and edit content as needed. Zoho Writer offers all the standard text formatting and document creation features and can export to DOCX, ODF, PDF, Latex, RTF, TXT and even HTML. It can plug into Echosign for digital signatures, publish the document to a blog or make it public for all to see. Zoho Docs is completely free to use. Some people are reluctant to cut the ties to their local computer and put all their work and business documents online. If you're one of them and don't want to rely on an Internet connection, here are several free word processing applications to round out our list. These you can download and install on your local computer. Take advantage of all the desktop features of MS Word without the hefty price tag! The OpenOffice package actually includes six programs that all use the same engine making them inherently the same and extremely easy to learn and use. The 6 applications included in the OpenOffice suite are: Writer (word processor), Calc (spreadsheets), Impress (presentations), Draw (graphics) and Base (database manipulation) and Math (mathematical equations). Writer can even natively do some things that Word cannot, like open PDF files without the addition of a plug-in or commercial add-on. As the software is open source it is maintained by a large community meaning help and bug fixes are freely available and quickly created. This is perhaps the leading free desktop alternative to Microsoft Word/Office. You can install this suite on Windows XP to Windows 10, macOS (OS X) and Linux. AbiWord is a free word processing application very similar to Microsoft Word. It is available for Linux distributions only. The software is fully compatible with not only Microsoft Word, but also OpenOffice.org, Word Perfect, Rich Text Format and more. It has advanced document layout capabilities and can do mail merge as well, which allows you to automatically fill in specific form fields in documents with information from databases and comma separated or tabbed text files. It is a highly useful feature if you need to work with many formats at the office. Additionally, the software can be enhanced and expanded with freely available plug-ins that will give you even more features and functions. Jarte is based on Microsoft WordPad Engine, but is still free. There is a paid version of the software that adds on some extra functionality, but the free version is more than adequate and fully compatible with Word and WordPad documents. Features include an ergonomic tabbed interface, small resource requirements, portability, support for touchscreens, and quick loading time. It also has built-in spell checking and can export to HTML and PDF files. Jarte allows you to insert images, tables, hyperlinks and everything else that you have come to expect from Word. Jarte contains no ads, trial periods or crippled features and is funded through user purchases of the Jarte Plus version. WPS Office 2016 Free is a free document processing suite whose WPS Writer app will serve you well as a Microsoft Word alternative. WPS Office 2016 Free can open and save to a long list of popular file formats native to those applications like docx, doc, and more. You can get the application in languages other than English: French, German, Spanish, Portuguese, Polish and Russian. The suite has the same familiar look and feel of MS Office with one exception--it has a tabbed viewing window, so you can open more than one document at a time. And also worth mentioning is WPS Cloud, the company's cloud document storage service that offers up to 1GB of free storage that you can use. This is perfect if you're trying to find a free Word alternative that's not only scalable for teams, but can also be as collaborative and seamless as its Microsoft counterpart. SoftMaker FreeOffice is another great free suite that offers a full featured Microsoft Word alternative. The suite's TextMaker application allows you to focus on creating documents just as you would in MS Word. This suite offers up essential editing features and even a handful of basic templates for creating and editing documents. Tables, charts, shapes and graphics are available along with standard text formatting options. This application provides you with everything you need. The entire suite is available for Windows, Linux, and Android, so you can keep your document processing tasks going even while away from your desktop. Whether you are looking for a free locally installed Microsoft Word alternative or an online one for easier collaboration and online file storage, there are many available. The ten that are covered in this article are only the tip of the proverbial iceberg, but should give you a good starting point. The obvious giants in the arena are Google Docs and Openoffice.org which are probably also the most popular, though Zoho does offer a wider selection of applications. In the end, the one that best suits you will be the one that offers the features you need the most. No matter which one you pick, you're guaranteed a fully functional, robust word processor at zero cost. To see how well the above applications work with Able2Extract, download the 7-day free trial today.